Sometimes one person’s death brings memories flooding back of a whole era. If you came of age musically in the fifties or sixties, it was if Chuck Berry’s songs held up a mirror in which you saw your generation reflected and given mythic stature. Particularly if you were British, the insouciant swagger of his lyrics, the guitar just like a ringing bell, cruisin’ in your car and playin’ the radio, the lure of the juke joint after the school bell has rung, the cats who want to dance with sweet little sixteen – all of it sounded highly desirable and pretty mythic. Same thing every day – gettin’ up, goin’ to school. No need for me to complain – my objection’s overruled, ahh! Three things we learned this past week connect in my mind. First came the news that Bowie had died, followed by a huge national outpouring of sorrow and loss. A day later it was revealed that the number of people attending Church of England services each week has dropped below 1 million – less than 2% of the population – for the first time, with Sunday attendances even lower at 760,000. Finally, amidst widespread condemnation, leaders of the Anglican communion meeting in Canterbury agree – in the words of Giles Fraser – ‘to punish its American franchise for the temerity of marrying gay people, sending out the message to the LGBT community: you are a problem, and we will establish our unity on the basis of your exclusion’. Is there more than one Cast Iron Shore? 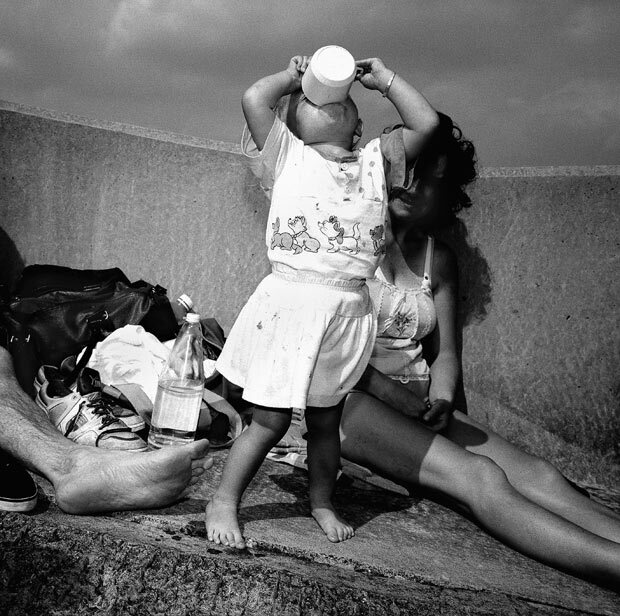 The question arises after reading a feature in today’s Guardian – Ken Grant’s best photograph: a child on the Merseyside coast – in which the Grant talks about photographs taken as he walked between his home in New Brighton to ‘a place known as the Cast Iron Shore, because there was an iron foundry there’. 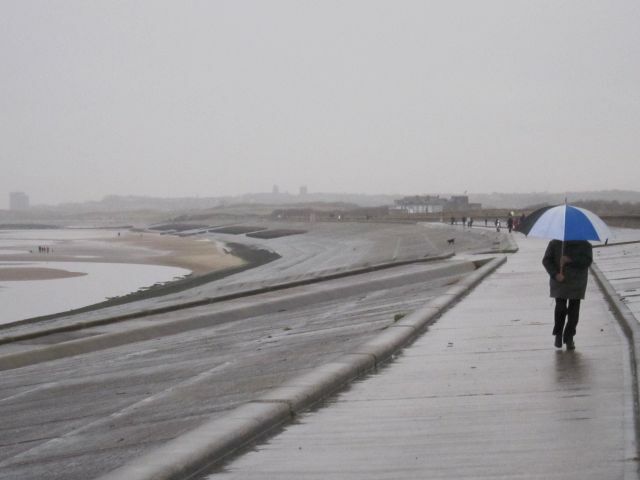 The place that Grant remembers as the Cast Iron Shore is the stretch of the Mersey shore between Leasowe and Meols (which I have described here). But I think he must have mis-remembered: I can find no reference in Wirral histories to the term being used for this location, or of there being an iron foundry. 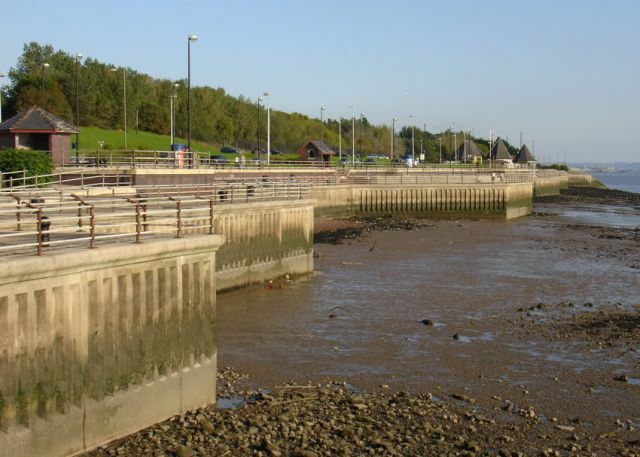 If the place deserves any name, it would be the Concrete Shore since the shoreline is firmly encased in a concrete embankment, first constructed by the Corporation of Liverpool in 1829. It was needed as much of the ground on the landward side is below sea level and would be submerged by high spring tides. 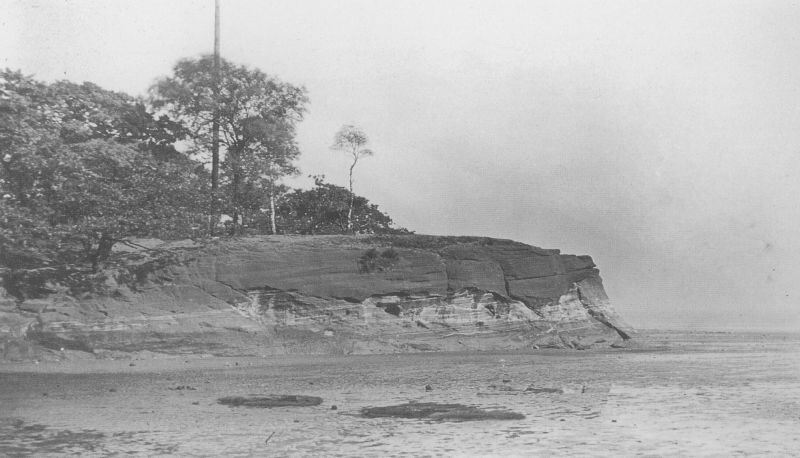 The original embankment has been extended and strengthened several times since 1829. Despite the concrete, this can be an exhilarating place to walk, with fantastic estuary views and dazzling displays of aerobatics by flocks of seabirds rising from the sandbanks offshore. I photographed it in pretty dismal conditions last December. He worked as a labourer after leaving school, and knew intimately the world he was capturing, which perhaps explains why he did it so brilliantly, with such empathy. As he says now, there were plenty of pictures of vessels being grandly launched from the Cammell Laird shipyard, but his instinct was to chronicle the workers on their tea breaks, or clocking off. ‘I like photographing people’s circumstances,’ he says. ‘Not the celebratory stuff, but the quieter times.’ It is the instinct of the social documentarian, and Grant deserves to rank alongside the better-known Martin Parr as one of the best. I’ve photographed in and around Liverpool since I was a teenager, rarely moving more than a few miles from the Mersey. I tend to go back over familiar ground and photograph the same places repeatedly. Sometimes, I walk all day and find very little; other days, everything falls at your feet. It’s rarely straightforward, but then good photographs don’t come easily. The family in this picture are out for the day, using a breakwater to shelter from the wind: even in the summer, it can blow in from the Irish Sea with some force. Away from the city, the winds keep the coast a little cooler, and I’d go there to photograph those people – like me – who were drawn to the sea for a few hours’ respite. Grant, who now teaches in South Wales, has published a collection of his Merseyside photos in The Close Season, which features text by writer James Kelman. In Liverpool, the Cast Iron Shore (more commonly ‘The Cazzy’) is known as the stretch of the Mersey shore from the Dingle to Otterspool in south Liverpool. It gained its name from an iron foundry – the Mersey Foundry – that operated throughout the 19th century on a vast site near Grafton Street in the Dingle. The shoreline was stained red from the ferric oxide left in the sand. 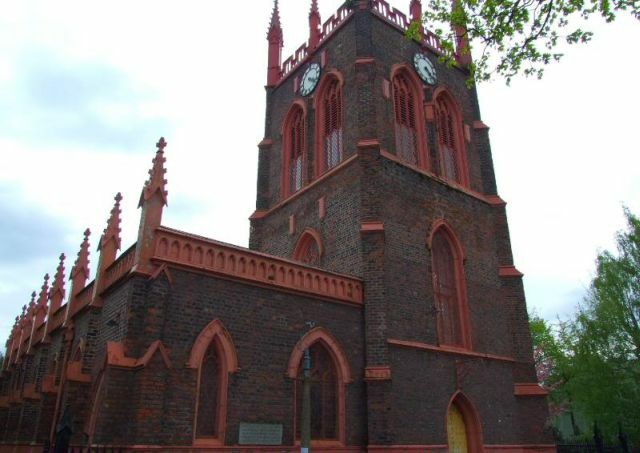 There’s a church at St. Michael’s constructed from iron forged at the Mersey Foundry. Cos, ders none der any more! Pre-war when I was a kid, The cazzy was a great day out.There were steps going down to the shore, at the end of the steps was sewer outlet (not very nice). To the left of the steps was a high sandstone wall about 100 metres long. At the centre of the wall there were two old large gates set into the wall; my theory is they would be a place to store fish during the 18th and 19th century as there were no freezers back then in the old days. The wall ran on towards Otterspool; at the end of the wall the beach widened to Jericho Lane, where there were the old fisherman’s cottages. Before the war, at the back of the cazzy, was a nine-hole golf course, in which they sunk large holes to allow large oil tanks to be place at ground level. This was to camouflage the tanks during hostilities. “O happy days they were”. A local group has uploaded this video, inspired, they say, by a song about another Cast Iron Shore in Vancouver. The video is shot a bit further up-river, at Cressington Park.